The June AARP Bulletin had a brief piece on the fixtures of our every day life that either have already gone by the wayside or will do so in our lifetimes. How many of you still have the following items as functioning items in your household or in your day-to-day living? Answering Machine: a machine that records phone messages either on tape or digitally that is NOT a voice mail service with your home phone. Home phones: many younger than Baby Boomer age are dispensing with their home phones and relying 100% on their cell phones. In most households that equates to at least two telephone numbers per household. I know it works for all of our adult children, but we’re still holding onto our land line – along with our cell phones of course. Printed encyclopedias. Research now-a-days can be done on-line (computer, tablet, phone) and, quite frankly, is far more accurate and up-to-date than volumes of books whose content is so very limited. Rolodex. Every e-mail program has a Contacts function with ease of updating being a real bonus. I remember holding onto my Rolodex at work, even though I had also put info into my computer’s Contacts file, just in case I needed it. I dumped the Rolodex a couple months later. Floppy discs & drives. 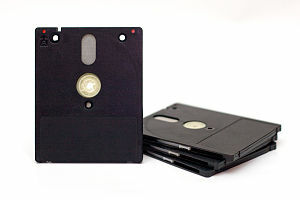 Most people under 21 don’t know what this storage device is. Confession: when cleaning out my home office the other day I got rid of an unused box of those antiquated and limited storage items. Film!!!!! Again, cleaning out my home office I found a roll of unopened Kodak 35mm film. I didn’t throw it away, however, because THAT is a collector’s item! Analog clocks. All of my decorative clocks in my house contain numbers that go around a square or round face – you remember those don’t you? Many children now-a-days are only accustomed to the digital clock and can’t tell time without it. Stationary & note cards. For me this is the most grievous vanishing fixture in my life. I will NOT stop sending letters and cards by snail mail – unless of course the postal service vanishes before I’m six feet under. 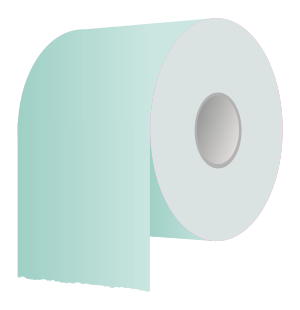 Toilet paper – WHAT!!!!! AARP reports that eventually, toilet paper will be replaced by toilet-seat bidets that will wash and dry at the touch of a button. Please say it isn’t so!!!!! Maybe they figure the wash & dry could add an additional benefit that would make us smile? I still don’t like the idea. How many of you are now using items that you swore you’d never allow into your household just a decade ago? And what are you holding on to? This entry was posted in 21st Century Living and tagged AARP, analog clocks, answering machine, Baby boomer, cell phones, encyclopedias, floppy drives, Kodak film, mobile phones, Rolodex, Smartphone.